Milk thistle liver detox is a gentle way of using an active herb to help your liver cells to regenerate. One of the best liver detoxification herbs, milk thistle seeds can be ground into your food, made into a tea or taken as a supplement. Milk thistle seeds contain silymarin, a compound which helps restore normal liver function. Silymarin can also help repair damage done to the digestive system by alcohol and drug abuse. Milk thistle supports the regeneration of cells damaged by radiation, toxic chemicals and heavy metals. It can protect the liver from being damaged further by chemicals at a cellular level. Milk thistle seeds can also be used by healthy people to support their liver function. 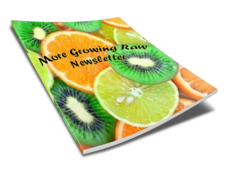 Eat 1 tablespoon of ground milk thistle seeds twice daily. Sprinkle them on salads, cereals or stirfries, stir them in with rice or combine in smoothies. Try to grind milk thistle seeds fresh as you need to use them, but they can be ground in larger amounts and stored in the freezer for convenience. You can also buy more convenient capsules or tinctures. 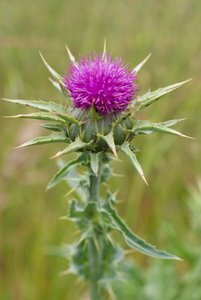 Native Remedies offer an excellent milk thistle, dandelion and vervain tincture which is taken as drops. The Liver Dr. - Buy 2, Get 1 FREE special offer is currently available. This combination of liver detoxification herbs not only detoxifies and strengthens the liver, but treats the various digestive dysfunctions that accompany liver disorders. Drink daily to cleanse, revitalise and protect your body from poisons. Use for 2 months or longer if necessary. Makes approximately 2 litres that can be drunk freshly boiled or cooled to drink throughout the day. Simmer dandelion, milk thistle, chicory and wild yam in 2 quarts litres of water for 20 minutes, covered. Add blessed thistle and steep a further 10 minutes.